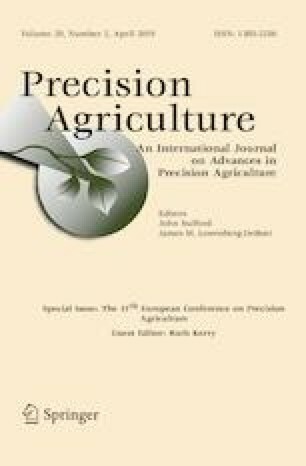 Sugarcane productivity is highly variable across space, and knowledge about the spatial distribution of soil physical attributes is important to guide management practices and evaluate the effects of agricultural operations on productivity. Thus, the objective of this study was to determine the best sampling density to represent the physical attributes of an Ultisol Typic Hapludult, to determine the spatial variability of these physical attributes, and to correlate them with sugarcane productivity. A sampling grid was delimited in a sugarcane crop in its first cycle, where 32 samples were collected that were spaced 7 m apart. The samples were collected undisturbed for soil density, total porosity, macroporosity and microporosity determination. In addition, disturbed samples were also collected to determine gravimetric water content. A penetrometer was used to evaluate the soil mechanical resistance. Sugarcane productivity was measured in the same sites. Descriptive statistics and geostatistical analysis were applied to evaluate data variability and correlation between sugarcane productivity and soil physical attributes. The physical attributes of soil: penetration resistance, moisture, total porosity, macroporosity, microporosity, soil density and sugarcane productivity showed spatial dependence, and fit to spherical and exponential mathematical models. Kriging maps identified homogeneous and heterogeneous regions, indicating that the geostatistical techniques were useful for geospatial characterization. The minimum sampling density to estimate sugarcane productivity was 14 samples per hectare and was dependent on penetration resistance and total soil porosity. The authors thank the Sugarcane Experimental Station of Carpina (EECAC) for the logistic and operational support. The study was supported by CNPq Project No. 574961/2008-9 “Gesso agrícola na melhoria do ambiente radicular da cana de açúcar e suas implicações na produtividade agrícola (ProGessoCana)”. Allen, R. G., Pereira, L. S., Raes, D., & Smith, M. (1998). Crop evapotranspiration—guidelines for computing crop water requirements. Retrieved November 08, 2016, from http://www.fao.org/docrep/009/x0490s/x0490s00.htm.